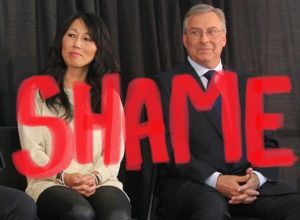 Shame on Terry and Kim Pegula for contributing to the erosion of the Area Standards for WNY Carpenters. In Public the Pegulas portray themselves as saviors of the city of Buffalo for buying the Bills and Sabres. They can afford to pay professional athletes millions of dollars a year for applying their trade but when it comes to the building at which those athletes perform the Pegulas can’t afford to pay for professional Carpenters to apply their trade and build/renovate them? Apparently the Pegulas believe in raising the prices for tickets and concessions year after year to increase their profits so they can hire contractors that pay as little as $12 per hour for construction workers. The Northeast Regional Council of Carpenters has a labor dispute against contractors like Gypsum Systems. 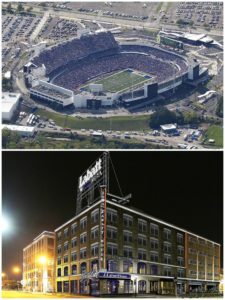 The Pegulas have hired Gypsum Systems to remodel several suites inside New Era Field and remodel 79 Perry St. future home of Pegula Sports and Entertainment/Labatt Blue House. Gypsum Systems does not meet area standards, including fully paying for family health insurance and pensions for all of its carpenter craft employees on all their projects. 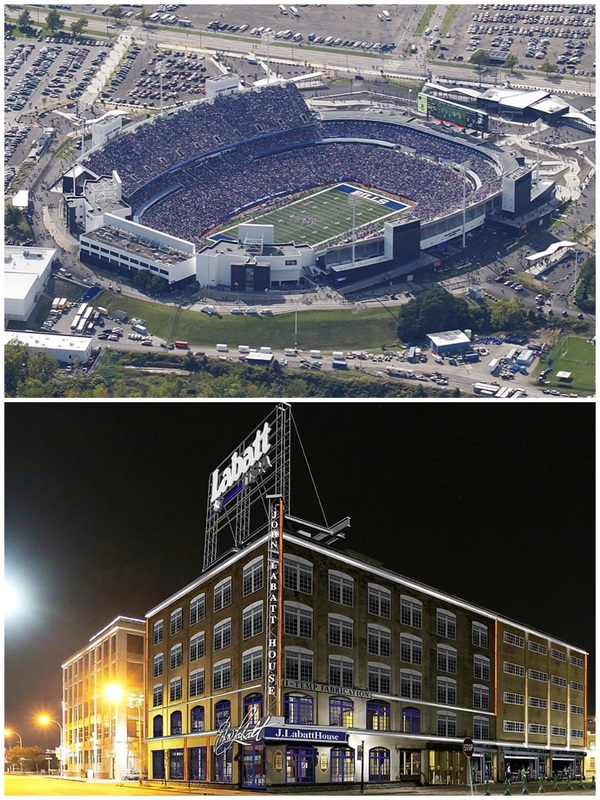 Gypsum Systems does not lease a box at either facility unlike other contractors that not only pay Area Standard wages and benefits to their employees but lease a box at both the Sabres Arena and the Bills Stadium. We the Northeast Regional Council of Carpenters say that’s not right and is down right GREEDY! We object to substandard wage employers like Gypsum Systems working in our community. In our opinion the community ultimately is the one who suffers the most. The community ends up paying the tab for employee health care and low wages tend to lower general community standards, thereby encouraging crime and other social ills. Ask them to hire contractors who pay Area Standard wages and benefits and hire contractors who support the owner’s sports teams.